A huge THANK YOU to Parkwood Gospel Temple Church for their donation to UAD. 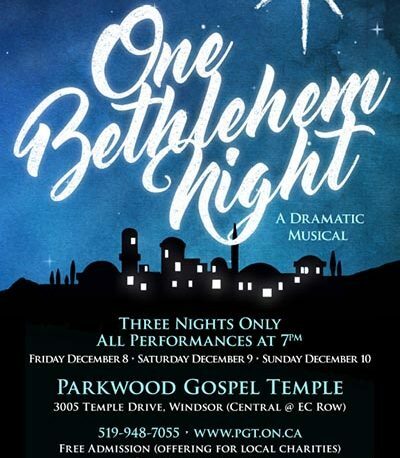 On December 9th, they performed their musical, ‘One Bethlehem Night’, and some of our members were present for the show. Following the show, the collections gathered during the evening’s offerings, were presented to UAD. It was such an up-lifting and spiritually rewarding experience! Jen Wright and Sue Cyr introduced our association, and their sons’ Tommy and Andrew did us proud by displaying respectful and genuine appreciation to the congregation. Way to go guys!